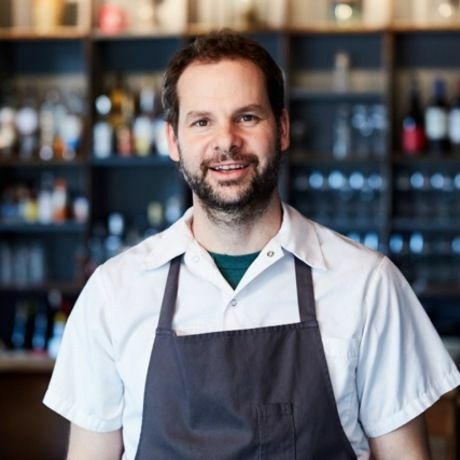 Reinventing your entire menu and approach doesn’t happen without risk - sleeping in his car, putting out fires (literally), and allowing your passion and curiosity to persevere. Lessons on risk taking from a renowned restauranteur. Justin’s childhood was all about the rosy cheeks, dirty hands and sun-bleached hair that comes from spending every day outside in a small, one time logging community in Eastern Ontario called Actinolite. Justin’s first cooking job was at a casual family restaurant in Ontario. After high school, he made the leap to formal cuisine followed with stint of travel to sharpen his taste for simple, flavourful, thoughtful food. In 2000, he returned to Canada, and spent a combined four years under chef Susur Lee, finding his place among the city’s young and dynamic chef community. All this experience has laddered up to Justin’s ultimate destination — a restaurant of his own that he had envisioned from the time he was 18 years old. The place would be infused with childhood memories, senses and a connection with the land in the creation of the food. The man may have left Actinolite, but Actinolite never quite left him.